Perkie's Observations: Dr. Patrick Drake Receives The SHOCK of His Life on General Hospital! Robin tells Emma she never stopped loving her and turns to look at Patrick. Patrick walks up to her and wonders if he’s dreaming. Robin assures him she’s real. She’s alive. She explains someone took her out of the lab and kept her locked up. She’s been trying to get back to him ever since. Everyone in church is shocked, including Sabrina, who can’t believe this is happening. She sinks to the floor, sobbing. Lucy believes a miracle has happened. Mac is desperate to get to Robin, but Felicia tells him to wait. Jerry threatens to hurt Bobbie if Luke doesn’t give him the vial. Luke calls his bluff and Jerry releases Bobbie. Luke refuses to give him the vial and the two fight, going over the edge of the building. Bobbie and Carly manage to pull Luke back up, but Jerry falls. Carly wonders why Luke didn’t give Jerry the cure. Luke says it’s for Sean. Duke and Anna discuss Robin. Anna understands Robin’s life won’t be the same as it was when she left. Duke asks about Faison. Anna tells him Faison was caught and she left him for Robert to deal with. 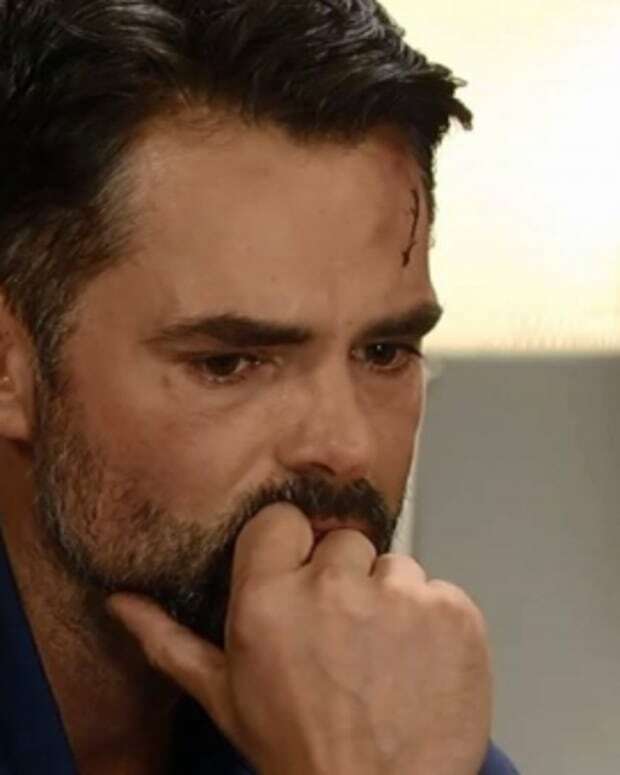 Duke mentions Derek and is shocked when Anna tells him that Derek is really Julian. Duke is angry Derek played him and wants to kill him. Anna begs him to leave Julian alone. She can’t lose him again. Ava and Julian wonder if Duke knows the truth yet. Julian feels Sonny is a bigger threat—not to himself—but to Ava. They hear a loud crashing noise and find Jerry, whose fall was broken by an awning. Jerry is alive and begs them to help him. Ava doesn’t think it’s a good idea to get involved with Jerry again, but Julian spirits Jerry away. Sonny’s still angry Julian is hiding behind Danny. He wonders who he can take out that’s close to Julian. Shawn mentions Ava. Sonny agrees it would make sense to take her out, but he can’t. He promised Kiki he wouldn’t. Killing Ava would hurt both his boys. 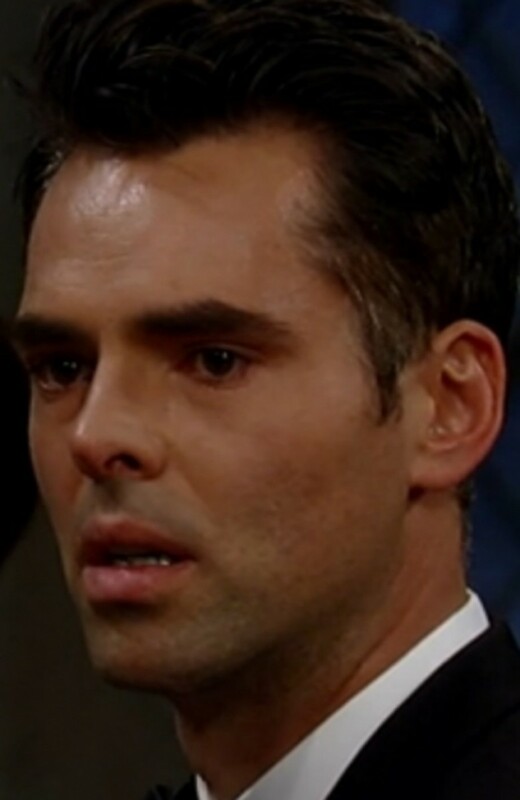 Sonny wonders who else they can use to hurt Julian. Shawn offers up Duke. Sonny knows there’s bad blood between Duke and Julian. He thinks Duke could be helpful. Sonny calls Duke to meet with him. Robin explains she was the one who tried calling Patrick and admits she was in the lab. She was also the woman at the Halloween party. Robin couldn’t tell anyone she was back, but is home now. The two share a kiss. Patrick still can’t believe his eyes. Emma tells him Sabrina is crying. Sabrina runs out. Robin tells Patrick to go to her. Mac eagerly hugs Robin, telling her how much he’s missed her. Anna arrives and Mac realizes this is what she and Robert weren’t telling him. Anna apologizes. Mac says he understands. Liz can’t believe she encouraged Patrick to move on when Robin was still out there. Lucy says she loves Robin, but feels badly for Sabrina. Luke runs down to the spot where Jerry should have landed, only to find it empty. Ava arrives and he questions her. She pretends not to know anything about Jerry. Felix tries to calm a devastated Sabrina. She’s happy for Emma; she got her mother back. However, Sabrina can’t believe what she’s lost. She saw the way Patrick kissed Robin. It’s always been about Robin. She’s always been a distant second. Felix thinks she just needs to give Patrick time, but Sabrina knows he doesn’t want her. Patrick arrives to talk to Sabrina. Perkie's Observations: The Judge Hands Down a Shocking Verdict on General Hospital! Perkie's Observations: Dr. Obrecht is Named Chief of General Hospital!